Bracelet made of surgical steel, black colour, diagonally joined angular links with shiny and smooth surface, tag. By buying this product you can collect up to 7 points as a voucher of $1.89. Your reward points. 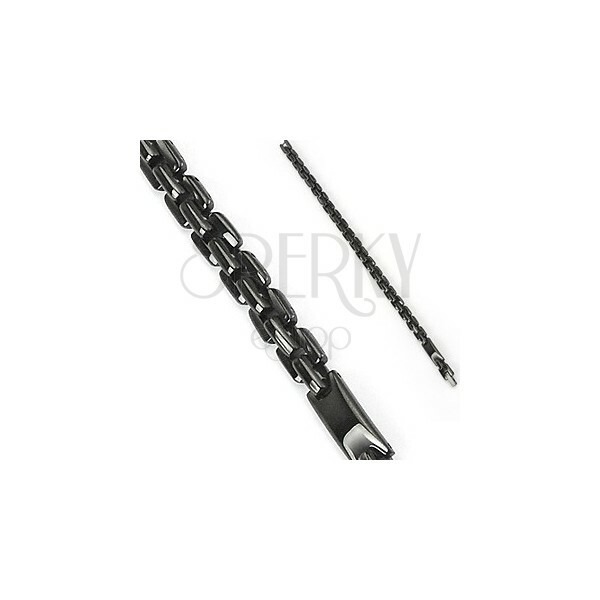 Bracelet made of 316L steel in black colour in form of a chain, composed of diagonally joined angular links. The bracelet ends in an oblong tag. Wristwatch clasp.